Great 2 page layout! 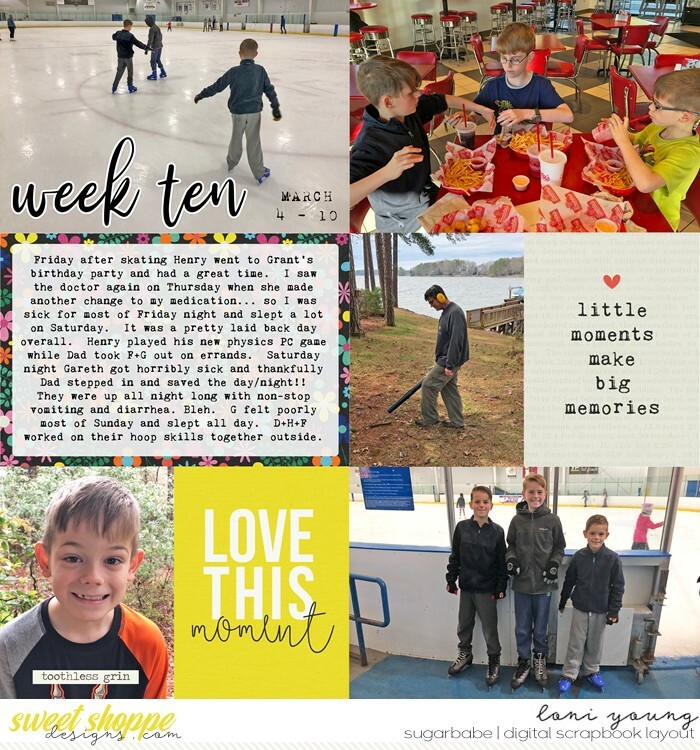 Love the mix of candid and posed photos to highlight your week! What an eventful week! Great photos. Ugh, sorry to hear everyone has been sick, what a bummer boo!! I'm glad there are some good memories in there too. Such a great pocket page!